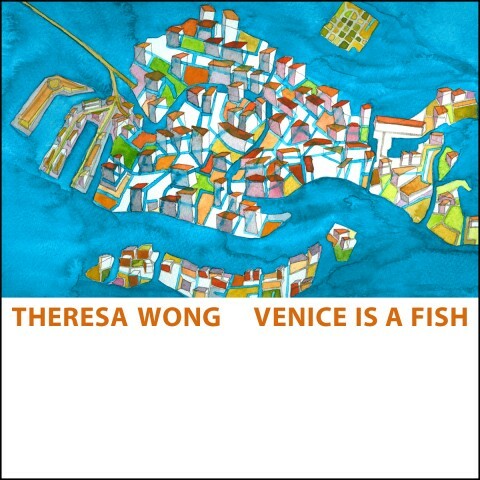 Theresa Wong’s Venice Is a Fish,the new release from Sensitive Skin MusicN, now available on Amazon and iTunes and available here for free listening. Theresa Wong’s Venice Is A Fish is a diary manifest in songs. And more, it’s lovely music that will challenge you on emotional and intellectual levels as it weaves its way through Wong’s life. The title track is inspired by Wong’s two years in Venice where she slipped into the portal of a rarified environment, absent of automobiles and surrounded by water and the hush of quotidian life on a human scale. Recalling the dizzying effects of labyrinthian streets to the expansive relief of the open Adriatic, the music seems otherworldly when living in almost any city other than Venice. Nightwatching in turn is a meditation on the wonder and awe of sailing at night on the open sea. Using an extreme form of scordatura, or detuning to evoke the groanings of a tallship, Wong sings of the gurgling majesty of the oceanic womb. “Lost Bird” is both a compositional and poetic look at the liminal states of being lost and finding structure along one’s way. The song combines layers of improvised motifs with sections of those same ideas reconfigured and composed; like snapshots of birds flying through the sky, constant yet captured in ever-changing forms. These five songs guide the listener through invisible tunnels of inner and outer realities, spanning a range from lonely and almost eerie to joyful and dancelike. Wong is a solo performer on Venice is a Fish. Although she has collaborated with other artists including Soren Kjaergaard, Fred Frith, and Ellen Fullman, here there is only Wong’s voice, prepared piano, cello and her own homemade version of the tonkori, an instrument of the indigenous Ainu people of northern Japan. The compositions occasionally take on a traditional structure, such as in “Il Sogno,” but more often take voice and instruments into uncharted territories, informed by Wong’s kaleidoscopic experiences. With influences from Amelia Cuni’s take on John Cage’s “18 Microtonal Ragas” to Fred Frith’s solo acoustic guitar album To Sail To Sail, it’s no surprise that Wong pushes all the boundaries, musically and lyrically. Sensitive Skin Music is proud to release Venice is a Fish. Listen to the album here for free, if you like it, buy it from Amazon or iTunes. All text and music written and performed by Theresa Wong. Recorded at Studio 1510 (Oakland CA), Casa Ninja (Berkeley, CA) & Ex’pression Studio (Emeryville, CA) by The Norman Conquest and Theresa Wong. Mixed by The Norman Conquest. Title from “Venezia è un pesce” by Tiziano Scarpa.